I purchased a pack of sausages and they arrived right on schedule. I had also requested that they do not make them too salty. I'm happy with the sausages as they considered my request. Thanks paddy, great service and great sausages. Paddy is going a great job and the sausages are delicious. Loved them!! Takes you right back home. Just what I was hoping for. I loved the sausages, pork is my best, atleast i got sausages i can relate to kenyan ones. These sausages are just like home in Kenya. Fast shipping and excellent packaging. I love the sausages. Great shipping and great customer service. Kenyans..... this sausages make you feel like you are just at home! I can’t get enough of these sausages! Tastes just like back home. Great customer service and timely delivery. 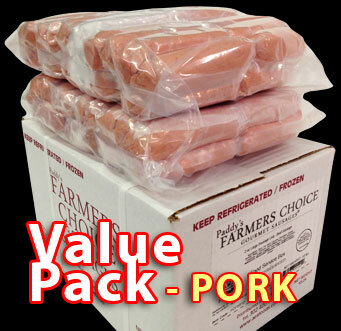 I ordered for these sausages and every body on my family liked them. They have less fat and sodium, than the sausages in stores, and the package arrived still frozen and in very good condition . Will definitely order again. This is my 2nd time purchasing this product, and like with the first time, they are excellent. 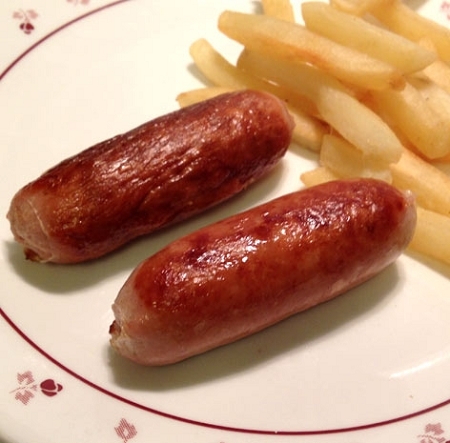 These sausages remind me of the rich meaty sausages from England/Ireland. They have great texture and taste and very flavorful. I have introduced them to all and sundry as the best sausages this side of the pond and everyone agrees with me! I've had a steady supply of these sausages for the last year or so. They always arrive on time and meticulously packaged. On my last order I switched to pork (from beef) and I must admit they're tastier - the beef were great too. I'd certainly recommend AES. Great customer service- due to weather, my shipment was delayed during shipping. It got held up by UPS for a couple of days and all the while AES checked its status and updated me. 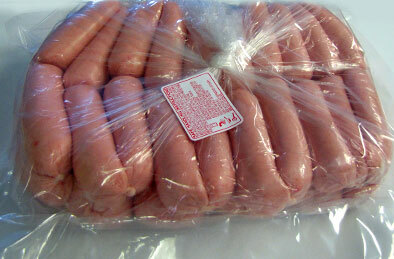 The sausages arrived in great condition. Thank you! My daughter loves them.great taste.good job guys! Great tasty sausages of our time.Indeed satisfying.I would recommend those who haven't tried the product to try them.Neat,clean and hygienic packaging .This company deserve all time five star Review. I got the sausages within two days and they were very frozen. They tasted so so good, I felt like I was back home. The pork links were delicious. Based on majority of the reviews from previous consumers who recommended the pork vs beef, I decided to go with the pork and wasn't disappointed. I will be ordering again. They were as good as they were ever gonna get. I really like the way you package them. Came still frozen off the UPS truck. I love these sausages..can't have enough of them! The staff is very professional which makes it easy to place orders. This was my 2nd order. 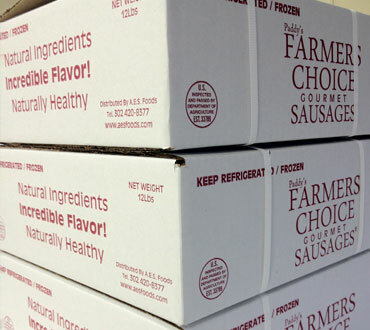 Ordered the 2nd time hot on the heels of finishing my first batch, because once you taste Paddy's Farmer's Choice pork sausages, you'll realize that you must have a stock in the freezer ALL THE TIME. Service both times was SPOT ON! AES foods really goes above and beyond, both in terms of the product and their service.